Lenses SQL Engine has been designed to allow topics browsing but also stream processing with SQL. The SQL streaming ends up running Kafka Streams apps and the engine supports 3 execution modes:IN_PROC, CONNECT and KUBERNETES. The last two are made available to Enterprise clients and offer fault tolerant and performant streaming applications built via Lenses SQL. To configure the execution mode update the lenses.sql.execution.mode. IN_PROC is the default execution, set the lenses.sql.execution.mode to IN_PROC. This is targeting Development environments or those production setups where stream processing is kept to a minimum. lenses.sql.execution.mode = "IN_PROC" // "CONNECT" // "KUBERNETES"
Lenses stores the internal state of KStream apps in the above folder. If Lenses restarts, it will pick up the state from the above folder and continue the processing. When running on Kubernetes, a restart on a new host where the state directory is not present, it will first rebuild it before it starts processing messages. Add one or more connect-distributed endpoints for each of your Lenses SQL enabled clusters in the lenses.connect.clusters configuration option. This configuration tells Lenses the processor execution mode is CONNECT but also which Connect cluster is enabled to run Lenses SQL. When scaling out with CONNECT, the lenses.sql.state.dir must be created on all workers in any SQL enabled Connect Cluster! This maps internally to the connect.sql.state.store.dir option in the connector. The connector (that is a JAR file) needs to be available to each worker in the Kafka Connect Cluster intended for SQL. The best way to add the connector plugin to a Kafka Connect instance is via the isolated classpath loader introduced into Connect in Kafka version 0.11. Lenses automatically scans the Connect clusters specified in lenses.connect.clusters and identifies if the Lenses SQL connector is available. Multiple LSQL enabled Connect cluster can be specified. When an LSQL connector is created, the user interface will require to select the target Connect cluster. You can check if the SQL runner is correctly picked with the Connect CLI. For Apache Kafka clusters that have SASL and or SSL enabled you to need to take extra steps to enable the Connect cluster and Runner to operate. The SASL mechanism for the SQL runners, GSSAPI, SCRAM or PLAINTEXT will be set in security.mechanism of the sql.extras option for the runner. This value comes from the configuration of Lenses. SSL and SASL options are passed to the runners, which are Kafka Connectors via the sql.extras option. This is a json string which contains the paths to the keystore and truststore, the passwords and other options required for SSL/SASL. The paths to the truststore and keystore are the same as those set up for Lenses. For example, if you have set the keystore path for Lenses to /mnt/secrets it must also exist in this location on each of the Kafka Connect worker hosts. If you do not set the same paths the SQL Runner will not start as the Kafka Clients cannot find the key/truststores. To enable execution of Lenses SQL processors on Kubernetes change lenses.sql.execution.mode to KUBERNETES. Additionally, Lenses requires access to a kubectl config file and Kubernetes requires access to Landoops Container Registry. The Docker images for the Lenses SQL Runners are hosted in Landoops container registry. Kubernetes requires an image pull secret to be set up for each namespace you wish to deploy the Lenses SQL Runners too. The options for the script are, in ordinal position. The Kubernetes service account to patch. If you are not using the default service account you need to set the correct service account via lenses.kubernetes.service.account configuration entry. This tells Lenses to deploy the pods using this service account. Lenses SQL runners requires access to the Kafka brokers, Zookeeper and optionally the Schema Registry. If you are running Lenses inside Kubernetes it is recommended to use Kubernetes services for these endpoints to abstract the configuration, avoiding updates in case the Kafka cluster topology changes. 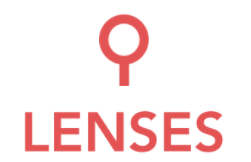 Lenses currently does not support creating these services. The lenses.conf file should specify kafka for the kafka.brokers. The same applies to the other services .i.e zookeeper and optionally the Schema Registry. For Apache Kafka clusters that have SASL and or SSL enabled you need to extend the SQL Runner docker to operate. For SASL enabled clusters extend and mount your jaas.conf to /mnt/secrets. The start up process for the SQL runners will check for the presence of the jaas.conf file add set up java.security.auth.login.config for you. For GSSAPI, you must also mount your keytab file and ensure your jaas.conf file paths are updated accordingly to point to the mounted keytab location. SSL and SASL options are passed to the runners via the sql.extras option. This is a json string which contains the paths to the keystore and truststore, the passwords and other options required for SSL/SASL. The paths to the truststore and keystore are the same as those set up for Lenses. Extend the SQL runner docker and mount your keystore and truststore at the same location set for Lenses. For example, if you have set the keystore path for Lenses to /mnt/secrets it must also exist in this location on SQL Runner docker, so mount it at this location. The connector or Kubernetes processor when not deployed via Lenses requires a minimal set of configurations which are handled for you when submitting requests via Lenses. Status backing topic of the Connect Cluster, has been paused. connection settings as a Json. Helm is a package manager for Kubernetes which allows you to set via configuration the image, the container specs, the application environment, labels, and annotations. Helm can be download from here and relies on kubectl. Helm and KubeCtl are not part of the Lenses package and are must be installed separately. For a current list of our existing Helm Charts please visit our repo and are available on our github repo. The Lenses SQL processor chart, available for Enterprise users, is packaged in the SQL runner release. To deploy the SQL runner Helm Chart, edit the values.yaml accordingly or set them via the command line. Lenses will pick up and track deployments created via Helm however if you modify or delete via Lenses, Helm is not aware of these changes. Future releases of Lenses will address this. The connector and Kubernetes artifacts is only available to Landoop Enterprise. brokers.bootstrapServers is a list of bootstrap servers. Multiple brokers are supported. If your brokers are inside Kubernetes add the service name to brokers.host. If your brokers are outside Kubernetes add hostnames brokers.host. schemaRegistries is a list of schemaRegistries detailing the hostname, HTTP protocol, and ports. Multiple schema registries are supported. New schema registries added or removed on scaling will not be reflected. Currently Lenses will require a config update. Future releases will address this. If you only have one schema registry you can set the service name. If your schema registries are outside Kubernetes add host names. © Copyright 2018 Landoop, LTD. Apache, Apache Kafka, Kafka, and associated open source project names are trademarks of the Apache Software Foundation.